"Go on an adventure in this official Alita action game"
Game Goal: In Alita: Battle Angel you will fight enemy troops and save humanity. How to Play: Control your character, move through levels chock full of enemies, and form teams with other characters who can help your mission. Game play: Numerous weapons and customization options for your characters, dozens of scenarios and the option to fight against users from all over the world. Rating: The TOP 10 Most popular games in Battle Games category. Never forget to spend rewards on improving weapons and attacks in order to be more powerful. Check out YouTube for more info on how to play. 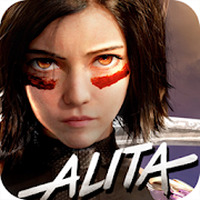 Do you like Alita: Battle Angel - The Game?